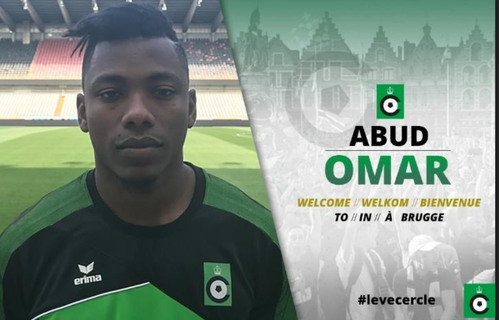 Harambee Stars defender Aboud Omar has joined Belgian top side Cercle Brugge, the Belgian Jupiler Pro club club announced on Saturday evening. He will be joining fellow Kenyan Johannah Omollo who also turns up for the club. This is a few months after being sacked by his ex Bulgarian Club Slavia Sofa for what they termed as disrespecting the club and country. "We are happy to announce the arrival of Omar. He is a player with many qualities, who will certainly make progress and will show himself this season in the Jupiler Pro League," Brugge Sports director François Vitali is quoted as saying on the official club website. Omar had become a mainstay at Sofia a side he moved on after a stint in Greece, but differences with the club official saw his spell at the club fall short. According to Omar, problems at the club started when he declared a desire to move to a new challenge, something they did not like. Cercle have played in the Belgian Pro League since the 2003–04 season, having previously spent several years in the Belgian Second Division following relegation in 1997.